We understand that it feels like a nerve-wracking task to send of your child alone on the greatest adventure of their life. That is why we have created this parents page to help answer some of your biggest worries and most common concerns. Firstly we want to assure you that you are not the first parent to think about either calling or emailing us directly asking questions or maybe even doing so. From parents taking full control of the whole process to parents emailing pretending to be their child when asking us questions, we have seen it all and we understand the weight of your worries. But we are also here to tell you not to worry! Your children are ready for this challenge and will pass it with flying colours! We have seen it time and time again, parents worrying about if their children will be able to priorities school over every other distraction that comes with moving to another country and in our experiences we can guarantee that they will! Moving out from the safety and security of their parents home and moving to a whole new country poses many new challenges both on a personal but also on a day to day basis. However, international students rise to this challenge by forming a bond between each other. The communities that the international students from are truly spectacular! Not only do they form study circles and study together but more often than not they form routines together for when they go shopping, washing, and eating together. In short, the life of the international student is not one of loneliness but one within a community! What guarantees can we at Study for a better future give you and your children? Every year we make at least one trip to all our universities but often more than one. These trips are timed so that we are able to welcome all our new students to their new universities and present a face to the voice and name that they previously have been calling or emailing. This sense of personal contact with every single one of our students is very important to us because it gives us a unique insight in the students’ life at the university and any problems and worries they might be experiencing. It also gives the student an understanding and a sense that we are here for them and we are open to any suggestions or requests they might pose on us both on a personal but also an academic level. Besides all of this, the main reason why we keep up with these visits every year is so that we can first handstand for the quality of both the universities that we represent but also each individual faculty and campus that we represent. To achieve this we usually try to meet with as many second-, third-, fourth-, fifth-, and sixth-year students as we can to help us get a better picture of the situation on the school and their individual experiences with professors and faculty. We also try to take both guided tours of the campuses and faculties and even sneak off to take a look at everything the universities have to offer in terms of physical structures and locals. 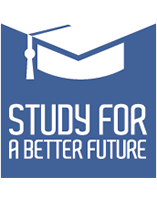 Who is our customer at Study for a better future? We work for your children primarily and if they suffer a bad experience because of a university that we represent then that critique is falling down straight on our heads. Because of this, we are very aware of the quality and personal experiences of all our students. Because of this, we have also relocated our main office from Sweden where we are originally from and moved it down to the city of Valencia in Spain. This is so that we can be as close as possible to the universities that we have here in Spain in general but more specifically our students in Valencia since this is the city where we have most active students today. Valencia also holds very good connections for us to be able to go both to the south a few hours either by train or car to visit our students at UCAM in Murcia as well as just a one hour flight away from Madrid where we also host students at two universities more. To be as close as possible and as easily accessible to all our students is our main priority because this is where we can offer the personality and quality of our services in the best way. No matter how much work we put in we know that the communities between the international students are what will make this experience the best experience and greatest adventure of their lives. This is why we are carefully supporting communities of our international students but via Social media where the students can integrate with our other students freely. But also through our effort to create an actual physical community in Valencia run by the students for the students called the Scandinavian Bodega, where they can host after-school activities and study circles etc. This is also a great way for the younger students to be able to reach out to those students studying in the later years and ask them for academic tips and support. We want all our student to feel like they are a part of a bigger community. Your children might be spread out at different universities and faculties around Europe but they are all still Study for a better future students. For that reason, we have decided to create the aforementioned facebook groups to help us reach more transparency in our company and services. We hope that this has reassured you at least a little, but we understand that you still have many many more questions that you would like to have answered. We have because of this tried to comprise a list of the most common questions we get from parents in a list below. 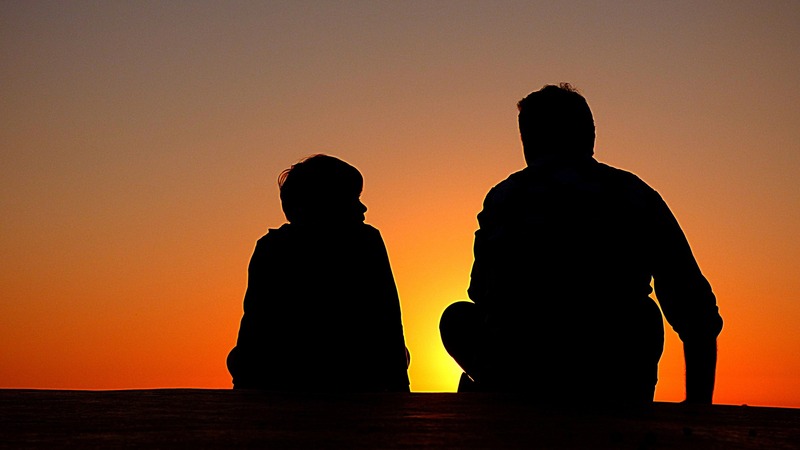 How does validation of the education work when my child come home? All the universities and programs that we offer meet the quality and requirements posed by the European Union and all studies are recognized as giving academic points from the ECTS scale created by the European Union to help students moving across borders. How hard are the studies to pass? This is a very hard question to answer due to the sheer number of programs and universities that we represent. With this said, however, the educations are all up to an EU standard and are academic programs which do put quite a lot of stress and pressure on the student to finish the courses. We know that these programs are often easier to get accepted to than many of the similar university programs back home in Scandinavia but this won’t mean that the programs themselves are easier. How are the dropout rates? Quite surprising and counter-intuitive is the fact that the international students that we host around Europe do not have a higher dropout rate than back home in the Scandinavian countries. We do however see a trend that after 2-3 months in the new country many students are shocked because of the culture and how things work at an academic level in another country. This shock usually leads to some students thinking about dropping out but if they just stick out for a couple of weeks that this feeling is prominent then it is usually followed up with a serene feeling of the new country being their new home that they never want to leave. In short, when going gets though stay in there and you will feel rewarded! Once again this is hard to answer since all the universities set their own prices. You can find the prices for the different universities & programs at the bottom of every programs page and university page in a chart that we designed to be easy to overview. Can we get student aid and financial support? Since all the programs we represent give ECTS score they are all valid to apply for student aid and financial support. The amount that you can get is fixed based on the country you come from but it should not be a problem. With that said however some of the more sought after programs such as Dentistry, Veterinary, and most prominent Medicine studies the prices may be higher than what you are able to apply for in your countries which means that you have to compensate the payment from your own pocket. The programs this is the case for are however also the programs where the student after completed studies won’t have any problems paying back any loans given to them. How do you find an apartment and how do we pay for rent? To find an apartment is always a stressful process and it won’t be less so when the apartment is in another country. If you are going to study in Valencia we can help by visiting the apartment and taking some pictures for you (please do not send us to many apartments and save this service until you are quite positively sure you want that specific apartment). In all other cases, you can ask us to take a look at the rental contract to make sure everything looks fair and well. Most private apartments in Spain will, for example, ask you to put down 1-2 months rent as a down payment and this is normal. How do you pay rent during the studies? – Paying online or by the app of your bank. – Direct Debit payments set up to send the payment every month. – Going to an ATM and making a deposit to the landlords account together with a message what the deposit is for. Remember to keep the receipt if there should ever be any problem. At the bottom of this page, we will link you to the Step by step page where you can get a complete overview of the application process. Many of our students come down during the summer months to visit the universities in person as well as look for an apartment. Once they are down here they often take the time to meet us in person. We do appreciate this since it gives us an opportunity to get a face on both you and the student already before the course starts, and we are always happy to get any excuse to drink Cortado in the Spanish sun.